Summer time for skiers in Colorado is glorious. There are still big lines you can tackle and you always get those amusing looks at trailheads. For Drew Petersen, who released this banger at CBMR this winter, balancing work and play isn’t so bad when you get after it as much as you can between when you clock out Friday afternoon and clock back in Monday morning. He had this to say about this edit: “The concept for this adventure was simple: hike and ski fourteeners all weekend long, packing in as much activity as possible, without taking any time off work. Starting Friday night after a full work day and going through Sunday afternoon, we were able to summit six peaks and ski off three of them, all in 42 hours. And it was in the heat of summer, making the turns that much sweeter.” Enjoy! 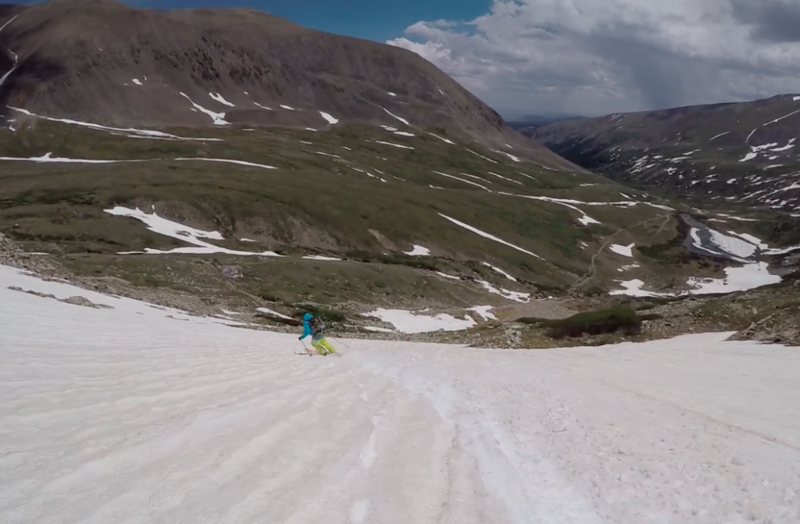 1 Weekend, 6 Peaks: Summer Skiing the 14ers from Drew Petersen on Vimeo. Will Dujardin is our content editor at West Elk Project. He competes in big mountain competitions and coaches the Crested Butte Mountain Sports Team. Skiing is his life and he likes to mix it with other fun things like DH mountain biking and traveling.